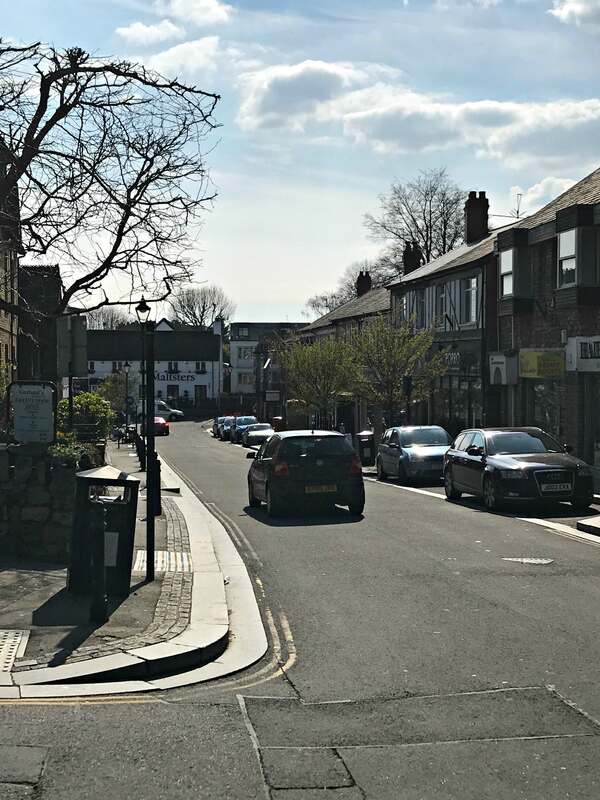 GIFTED: If you struggle for present ideas for loved ones then a stress-free solution is to give them an experience they will never forget, or a lovely treat they wouldn’t normally splash out on themselves for from Buyagift. Buyagift offers a great range of trips, experiences and treats via pre-purchased gift cards bought online. 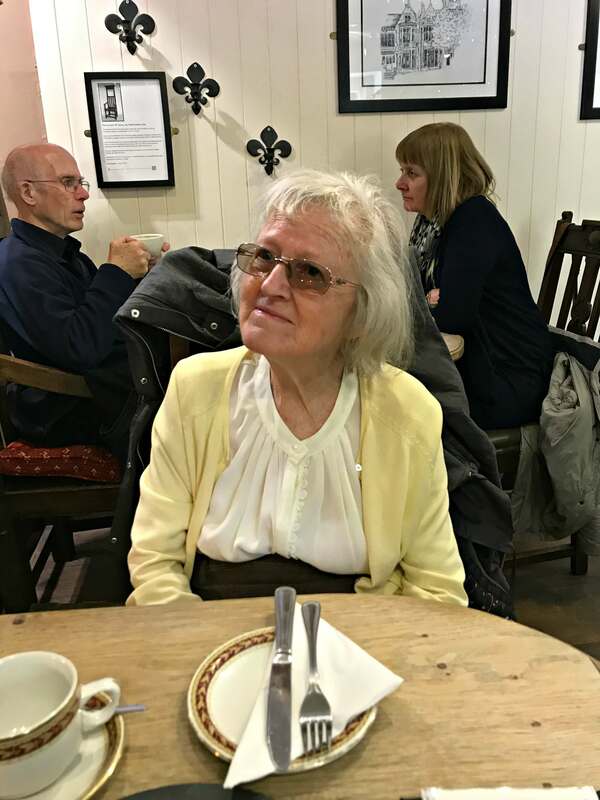 Since it was mum’s 80th birthday recently, last weekend we tried out a Buyagift experience for ourselves, when we went for a luxury afternoon tea at Jaspers Tea Rooms in Llandaff, Cardiff. 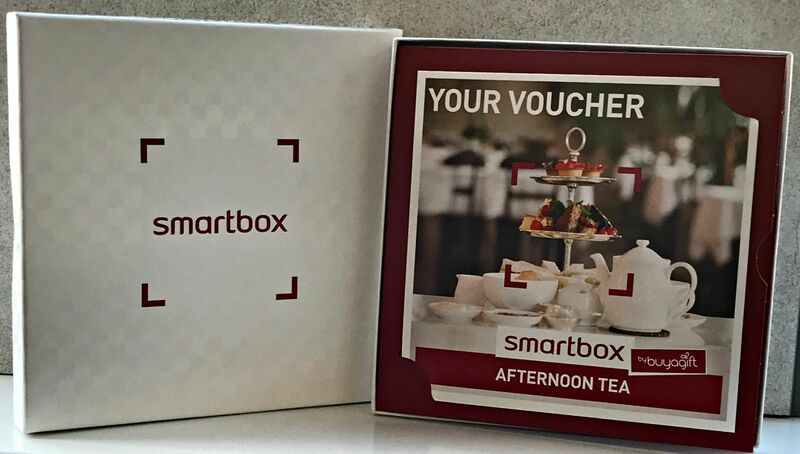 I was sent a the Afternoon Tea Smartbox by Buyagift which contained a gift card for an afternoon tea for two. The gift card came in a stylish box containing full instructions and a beautifully presented booklet outlining all our options. Booking was really easy. 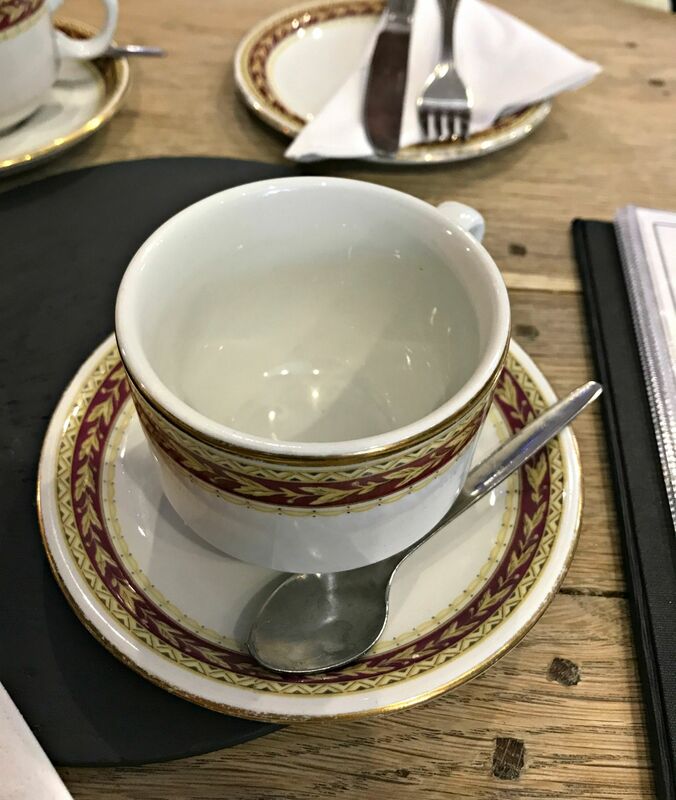 You simply choose where you would like to take your afternoon tea and book direct with the venue. Then, all you do is take along the voucher contained in your box and present it as payment in full. Read on because there’s a chance for one lucky reader to win their own Afternoon Tea Smartbox by Buyagift (worth £34.99) which offers over 425 experiences to choose from. You can also upgrade to an afternoon tea with bubbles for a reasonable extra charge (not included in the prize). 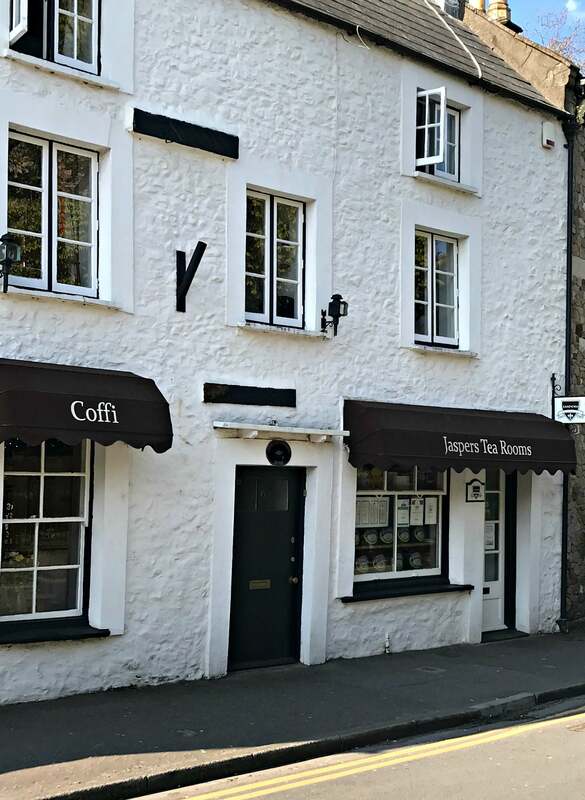 Set in the heart of the leafy village of Llandaff in the shadow of the cathedral, Jaspers Tea Rooms is everything you would expect of a traditional tea room. 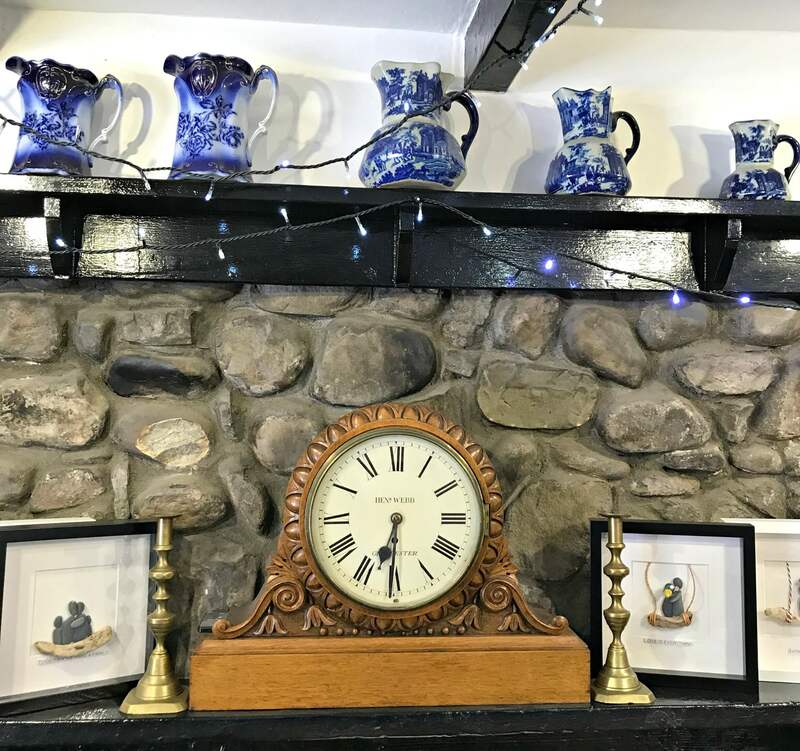 Traditional wood seating, an old fashioned fireplace and plenty of antique teapots gives the place a relaxed feel, enhanced by twinkly blue fairy lights. 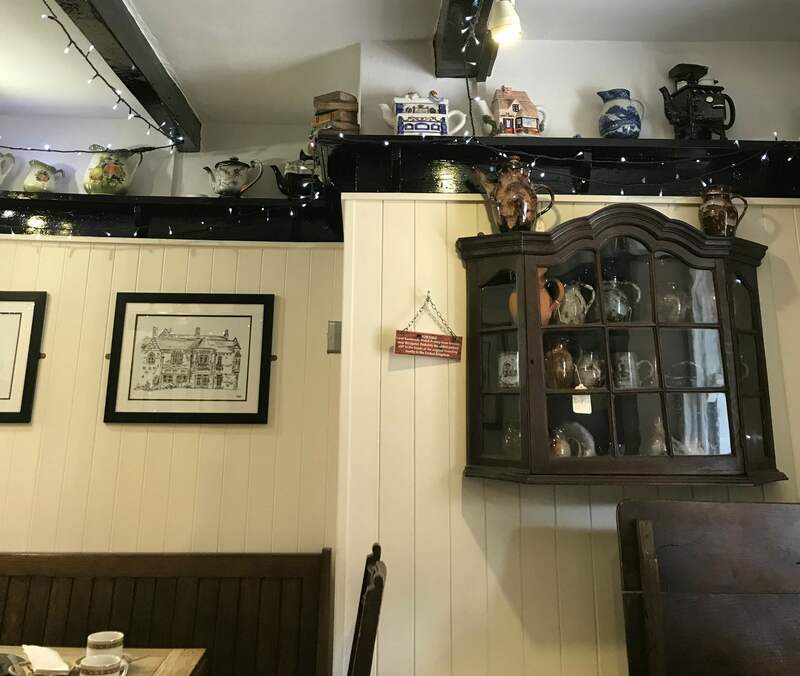 It’s the kind of place where you could spend all afternoon gossiping and putting the world to rights with the aid of a good, strong pot of tea. 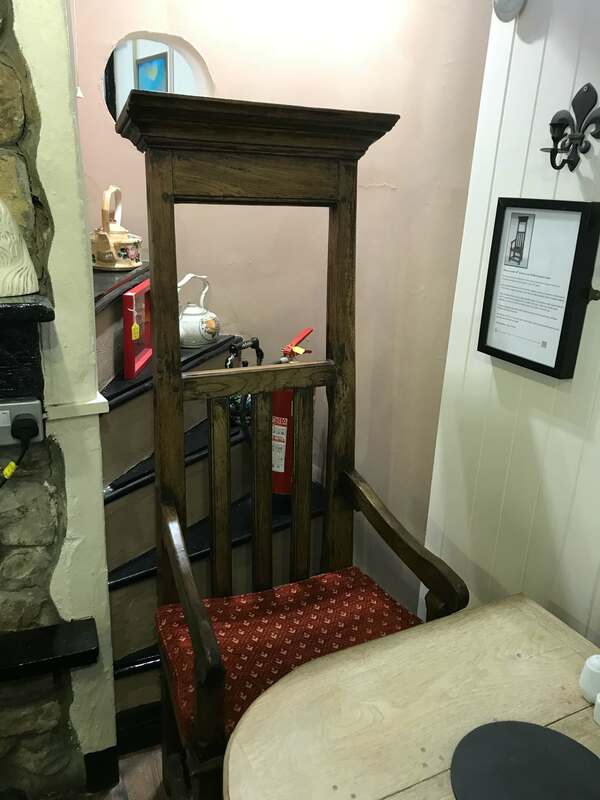 There was plenty of pottery on show from the local pottery at Ewenny and quirky showpieces such as an eighteenth-century chair. We were seated quickly and service was swift with a three-tier cake stand containing a lovely selection of goodies appearing in no time. Tea was served via a decent size teapot and the staff at Jaspers will refill the pot as many times as you like. Since the teapot is practically a shrine in my parents’ house, this was very welcome indeed. 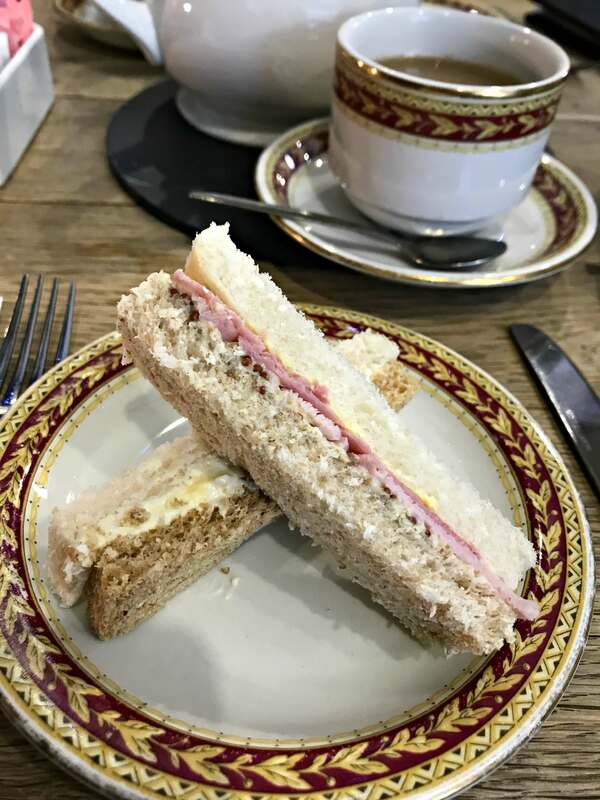 The afternoon tea itself comprises a selection of moist finger sandwiches in ham and mustard and egg and cress. This was followed by home-made scones, jam and cream. I thought the scones could have been warmed, however, they were fresh and wonderfully crumbly. We both initially doubted whether we could do justice to the impressive top tier of the cake stand. Miniature Victoria Sponges dusted with icing sugar nestled next to little blackcurrant and cream jellies, mini eclairs, macarons and bite-size Welsh cakes. Mum has a much smaller appetite these days but we managed to make our way through most of our afternoon tea. The staff kindly supplied take-away boxes for one or two remaining treats to take home to dad which was a thoughtful touch. 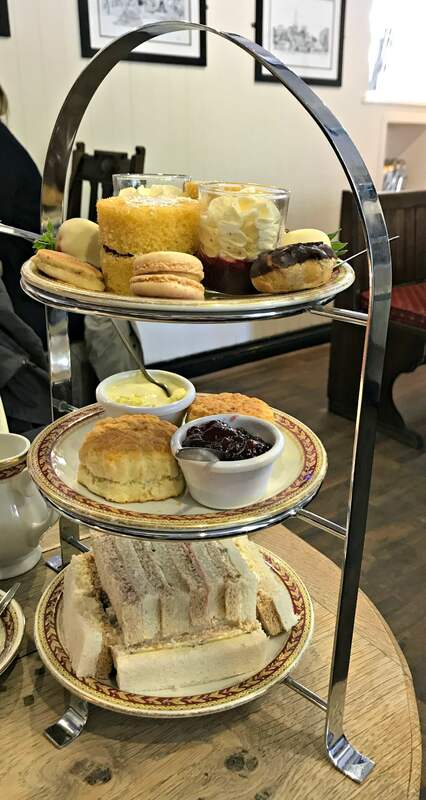 One point to note, though, we booked our tea for 4 pm not realising that the tearooms close at 5 pm so double-check if you don’t want to be the last ones on the premises. 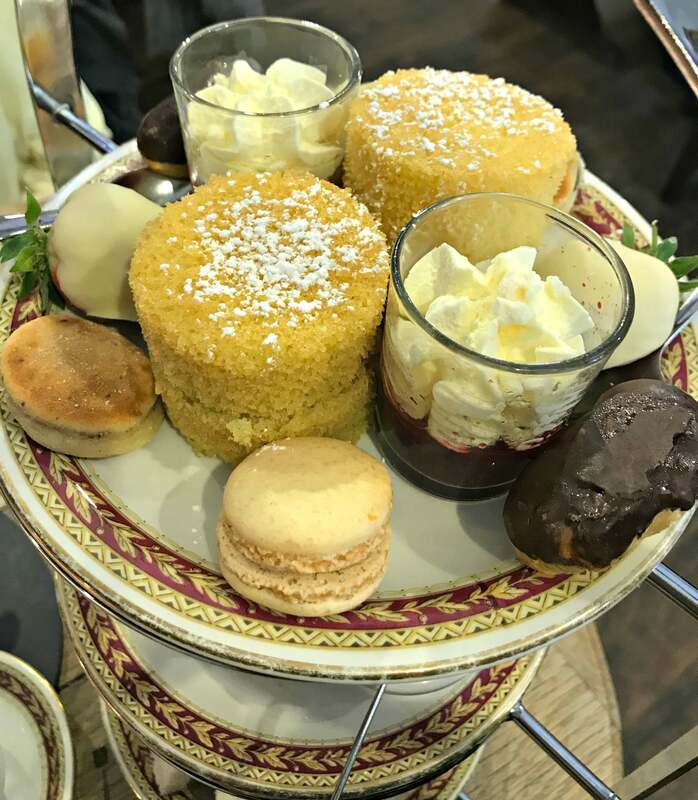 I have one Afternoon Tea Smartbox by Buyagift to give away worth £34.99 which entitles to bearer to one afternoon tea for two people at one of the locations detailed in the accompanying literature. The giveaway is open to UK entrants only and ends at 11:59 pm on Friday 10th May. The usual terms and conditions apply which can be viewed on my giveaways page. Emails submitted will be used to contact the winner only and personal data is not retained. "Flight Delay? How To Keep Your Kids From Driving You Crazy"
I would love a Victoria sponge or a chocolate cake… or any cake really! Maybe I’l old-fashioned but I don’t think you can beat a Victoria Sponge. I would love to find a cream slice, with really flaky pastry, a proper mille feuille. Lemon drizzle or carrot cake are my favourites, so would love to be on the cake stand! I would love to find some chocolate cheesecake, it’s my absolute favourite. I would definitely love to find a mini Victoria Sponge or some type of a chocolate cake! Carrot cake is my most favourite. While I am partial to Victoria sponge I would really love to find some Battenburg in my afternoon tea. Carrot cake, as delicious. Afternoon tea would be a wonderful treat. I’d most like to find some mini Victoria Sponge cakes. Victoria Sponge is my favourite for afternoon tea. Can’t pick one. I’d like a classic Victoria sponge, lemon drizzle cake or a black forest cake with fresh cream. Chocolate cake is my favourite but for afternoon tea you can’t beat a classic Victoria Sponge! A lovely moist lemon cake I think. I know there are more exciting things but I’ve just gone completely blank! I like all kinds of cakes, but a lovely moist fruit cake is best with tea. I like most types of cakes but I would love to find a slice of carrot cake on the cake stand. carrot cake with plenty of walnuts in and a thick layer of frosting! scones and cream or macaroons! I would like to find Battenburg on my cake stand! A chocolate praline one with vanilla icing and decorated with strawberries & raspberries! I’d like a red velvet cake, I never make it at home so it’d be a lovely treat! Would love to find either a bakewell slice or a lemon drizzle cake. It would have to be Victoria sponge cake with lots of strawberry jam. Tough choice! Probably Red Velvet as it’s my absolute favourite! I love all types of cake…but probably a jam and cream scone! I’d like to find a battenberg. I love a good home made Victoria Sponge! Any cake is good for me but I especially love coffee and walnut so would love to see that on the stand. A gooey chocolate fudge cake slice for me!! I would love to see chocolate Diam cake with my afternoon tea. Anything with a bit of icing on it. It would have to include a french fancy! I’m very partial to a macaron – preferably pistachio flavoured! Chocolate brownies! Not exactly a cake, but my favourite. Love a carrot cake with plenty of frosting! Although I don’t think there’s a cake I don’t like ! Scones to have with clotted cream and jam, yummy! my absolute favourite cake is toffee apple fudge cake ive tried baking it myself but fail every time! id love to fid it on my ideal afternoon tea! I’d love to find a little carrot cake – maybe with a little marzipan carrot on top! victoria sandwich is so yummy and soft and i love that soft warm taste its the best feeling. I love a mini battenberg – they’re so pretty in miniature! Has to be carrot cake, although in truth I like all cake! Great competition thanks for the chance to win. Lemon drizzle would be nice, but honestly love any cake. I’m not sure if it counts as a cake but I love Millionaires Slice. Mmmm so much choice, chocolate cake, carrot cake and fruit cake are my faves! I love coffee and walnut cake. It’s delicious! Victoria sponge cake, my favourite. 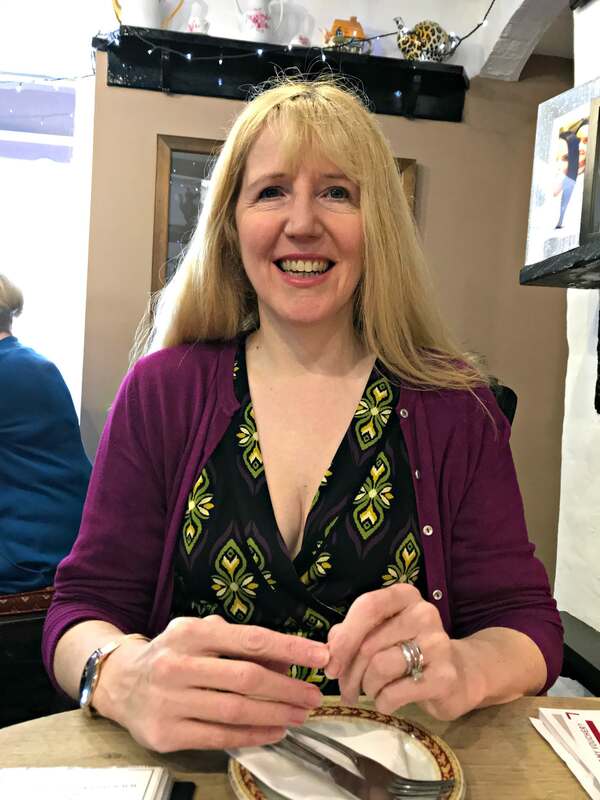 My favourite cake is lemon drizzle, so I’d be thrilled to find that in the selection! Oooh I like an Egg Custard myself. I’ve yet to see one on an Afternoon Tea though! I love the scones with jam & cream but has to be jam first! A moist fruit cake with brandy and cream! Any type of chocolate cake – I love chocolate taste. A moist coffee cake with walnuts and the most amazing frosting. Lemon drizzle! It’s my all time favourite cake – light & refreshing. Happy with any type of cake but would say lemon drizzle cake as it is my favourite.